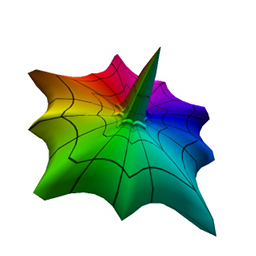 Superformula was created to have fun with mathematics. 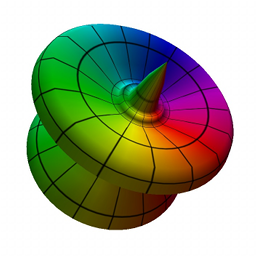 Anybody can explore the colorful universe of shapes described by a powerful formula. The Superformula, or Gielis-formula was first proposed by Johan Gielis. 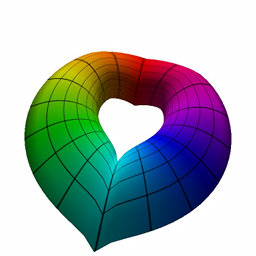 The formula can be used to define a wide range of shapes, including shapes that occur in nature. 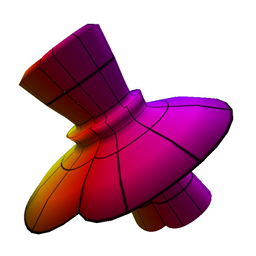 When describing shapes in three dimensions, two instances of the formula are applied, each with 6 parameters. 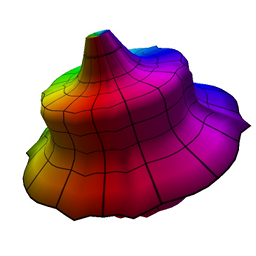 This results in a 12 dimensional parameter space in which a multiverse of interesting shapes reside. 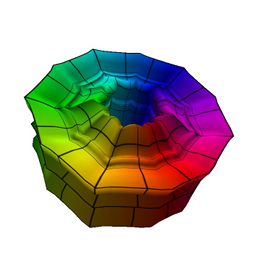 The Superformula app is developed as a tool to mine this 12 dimensional parameter space. By swiping your finger, the space is explored, two parameters at a time. 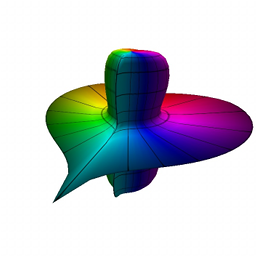 The strength of this application comes from the lightning fast calculations used to determine the shapes. 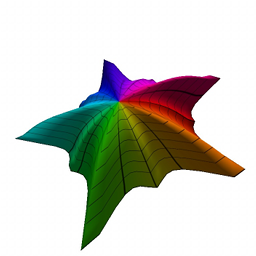 The app uses an OpenGL-ES2 vertex shader to compute the shapes on the graphics hardware of the device. 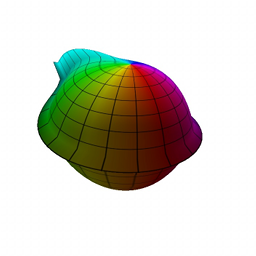 This means zero wait, and instant visualization of the Gielis-shape. Watch the demonstration video or try it for free at the app store when it gets released.